Amtrak trains will start rolling into downtown St. Paul's Union Depot in May. 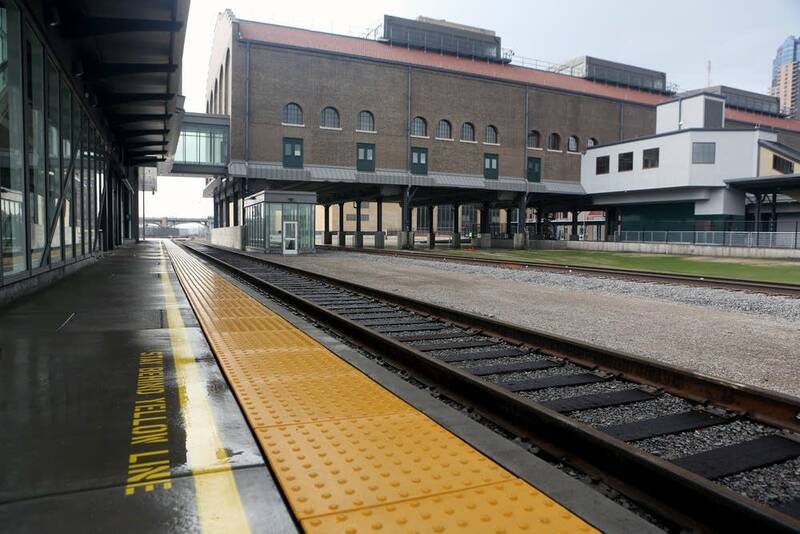 Amtrak, which now operates out of a station in an industrial part of St. Paul, was originally supposed to move downtown when the renovated Union Depot re-opened in late 2012. But that plan faced a series of delays because it required neighboring freight railroads to upgrade safety equipment. Those upgrades took longer than expected because of this year's extremely cold winter. The first train is now scheduled to arrive in downtown St. Paul on the evening of May 7. Amtrak's Empire Builder line runs between Chicago and the west coast. The line is expected to bring more than 100,000 people a year into downtown St. Paul based on last year's ridership. Those trains passed through Union Depot until 1971. The 130-year-old train station underwent a nearly quarter-billion dollar renovation two years ago. Mayor Chris Coleman says the return of passenger rail shows how attitudes toward downtown St. Paul have shifted. "Now downtowns are where people want to be," Coleman said. "It's where they want to be entertained. It's where they want work, where they want to live, and where they want to hop onto a train to go out to Glacier National Park or Chicago." The transit hub now hosts several bus lines. The Green Line Light Rail trains will start operating there in June, a month after Amtrak arrives.